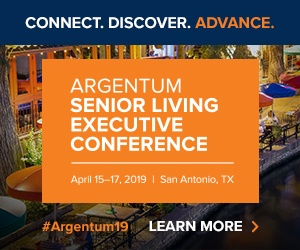 One year after the successful launch of its first community, All American Assisted Living, an affiliate of Kaplan Development Group, LLC, is eyeing a 20- to 30-property pipeline of its affordable senior housing model. Its second All American community, located in Raynham, Mass., is expected to open in April 2015. Another three properties are in the pipeline this year, and over the next five to six years, the development team plans to build four to five new communities each year — a pipeline that could top $420 million. So what’s pushing the development of the All American model? Its affordability. Compared to other assisted living apartments, which can cost up to $6,000 a month or more, All American Assisted Living communities cost between $3,500 and $3,800 a month — savings achieved through suite-sharing. The All American Assisted Living model grew out of that concept, and eventually came to resemble a college dorm. Residents each have their own private bedroom and closet, but share a living room and bathroom to lower the cost of the apartment. The “sweet spot” for the communities, Kaplan says, is 58 units housing 112 residents and comprising 58,000 square feet. In comparison, All American’s first community, located in Hanson, Mass., holds 48 companion suites. According to the developer, each completed property is estimated to cost about $14 million, so if the group sticks to its plan to build four to five a year for the next five to six years, its pipeline could range between $280 million and $420 million. Building companion suites, though, allows the development group to create a smaller community that houses more residents and, ultimately, cuts costs. “By doing that, we were able to decrease the square footage and the cost of construction that goes into a high-end, expensive building. Then, we could decrease the size of our footprint and the amount of acreage we needed,” Kaplan says. Despite its lower cost, the developers say they don’t cut any corners on amenities. Because of the cost savings achieved through suite-sharing and using less land, Kaplan Development Group is able to build a scaled-down version of the high-end communities it has traditionally built, while keeping the same level of service, care and programming. “Blue-collar workers can now go into the same type of facility and be able to afford it, and still be treated exactly the same way as someone who lives in a $7,000- to $8000-a-month unit,” Kaplan says. This clientele, in part, is how the model got its name. The middle-class, blue-collar workers who move into All American Assisted Living communities, as well as the building products that are used to construct them, are “all American,” Kaplan says. “In our opinion, it was the right call for the right product,” he says.